Well, Whattaya Know? Another FO! Okay, so I’m cheating a little bit. I done Effed this Oh a while ago, but I’m only just now getting around to posting about it. Mods/Notes: Well, since I wrote the pattern as I went, I guess you’d call the whole thing a mod. 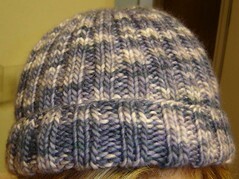 It’s just a basic 2 x 2 ribbed beanie with symmetric decreases at the crown. 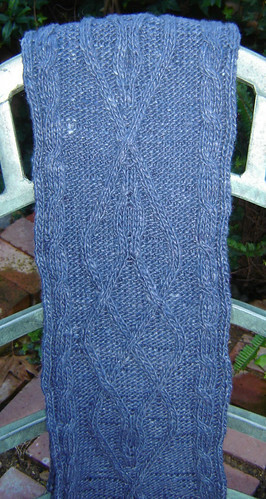 And as you see, it took me only 4 days to knit it, which means, it’ll take an average person 1 day. Or if you’re Jen, 1 hour. …but nothing to keep his melon from frosting over. With only a few days to make it, I knew simple and chunky was the way to go. And voila! The yarn is bulky weight without LOOKING like a messy,cheating chunky bulky piece of sh knit. I like that! This is the first time I’ve ever worked with Malabrigo, and I really enjoyed it. Not as much as some of you, who would marry it, and then name all your children Malabrigo because you love it so much. YOU know who you are. But it IS a nice, soft yarn, with good body and lovely colors, so I can appreciate that love, even though I don’t quite share your complete enthusiasm…devotion…OBSESSION. 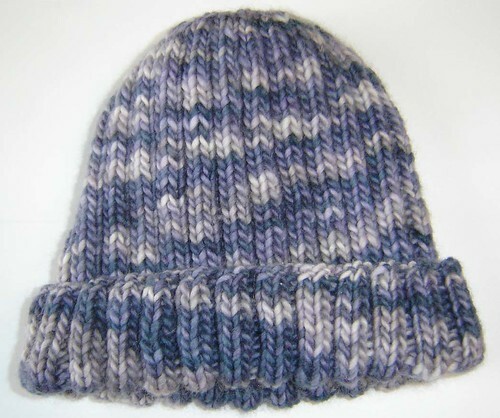 The pattern is a free download. 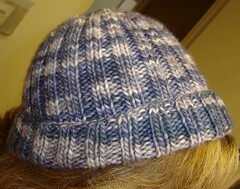 You can either Ravel It!, or click the button below to be taken to my free patterns page.